I have a love/hate relationship with Teemo. I love playing him, I hate fighting against him. Cool start, looking forward to seeing it modeled out. Who doesn't have a love/hate relationship with Satan (aka Teemo) . Not really an update but more of my wip. Still messing around with the placement for the mushroom. (dots are temp). 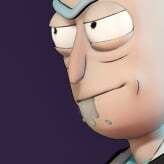 I've been polishing up the body parts. 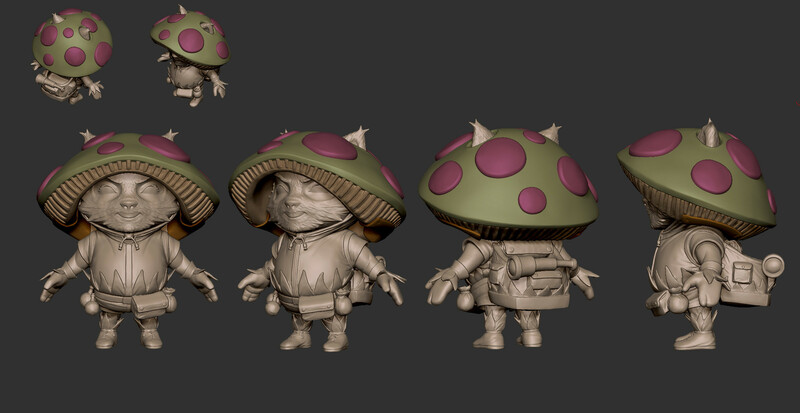 Still working through the face, and moving on to the shroom and backpack next. I've added the backpack and a bunch of small stuff hanging on the side. I'm still working all of the small attachment pieces out and will be breaking up the front torso. Really cute mushroom hat! However I feel like you lost something by having his face in neutral pose. Maybe Teemo should always have these smiling eyes shut down? @Goldo_O: I think I know what you mean. I'll tweak his expression some more. But I will need to keep the smiling shut eyes. That's sort of a signature teemo. Here's a small update. 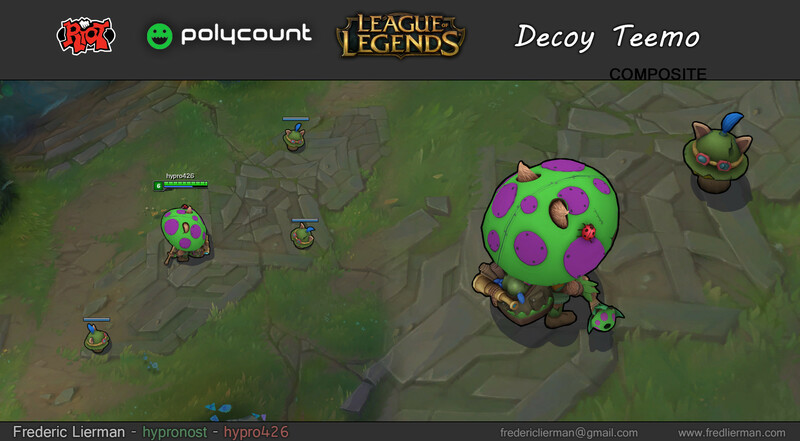 This will be Decoy Teemo's version of the poisonous mushrooms. 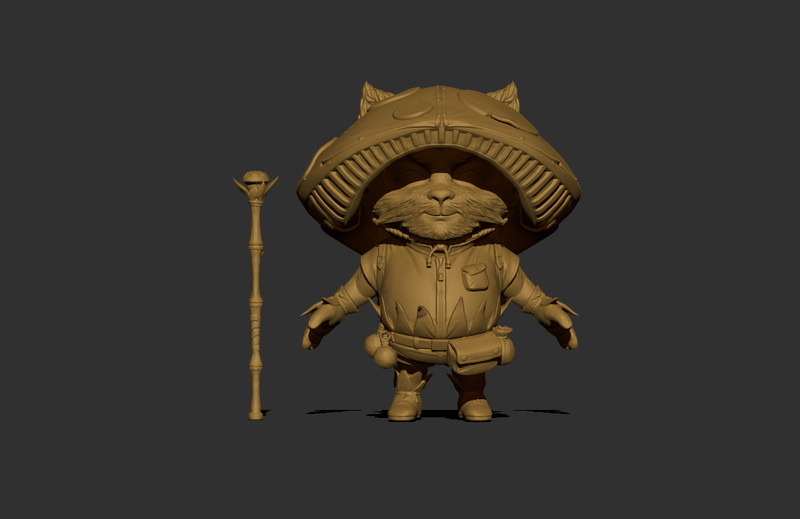 I was originally going to use miniature statues of original teemo, but thought that would be hard to read in-game on that scale. 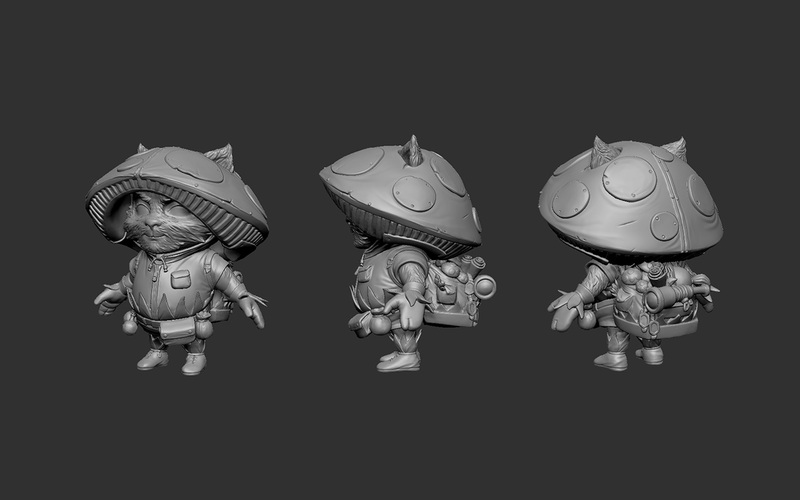 I've been detailing the head and hat and added content to the backpack. Here's another small update. I polished up the backpack a bit and added some weathering, etc. Another update.The stick on the left is his custom dart gun. Here's another update. 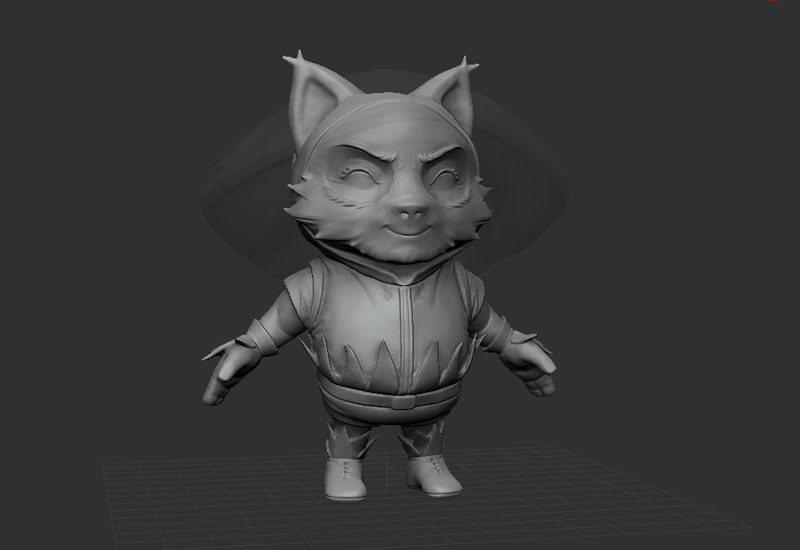 I think I'm close to done with the High Poly. Although I just realized I made him a bit too chubby. So I'll do a pass on his torso to make him a little less... chubby. So cute you almost forget how evil he really is great work! @3sm: Yeah I totally agree. Teemo is evil! Here's a small fix I did. I made him a bit more slender. @Roadkill2222 Thanks, that means a lot coming from you. Just finished with my Low Poly, UV's and first round of baking. There's obviously a bunch to clean up on the bake. looking great!! i really like your character! 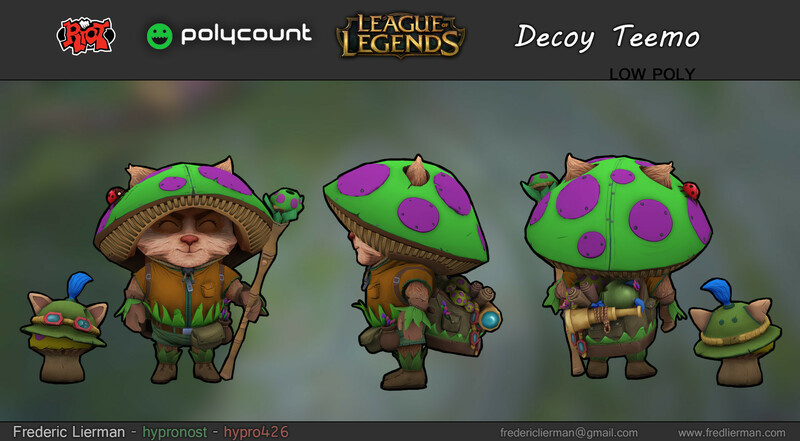 the chubby teemo looks just perfect! 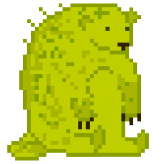 @andyvargas: Thanks. 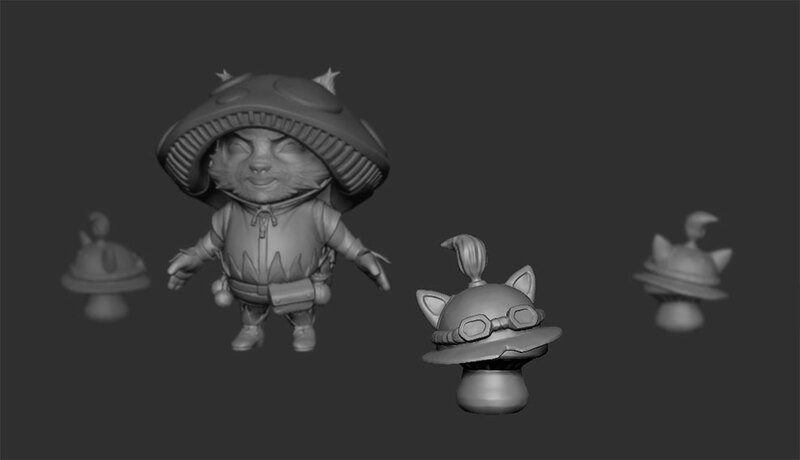 I have to admit, I like chubby teemo as well. I've cleaned up the occlusion map and added a color/texture pass. 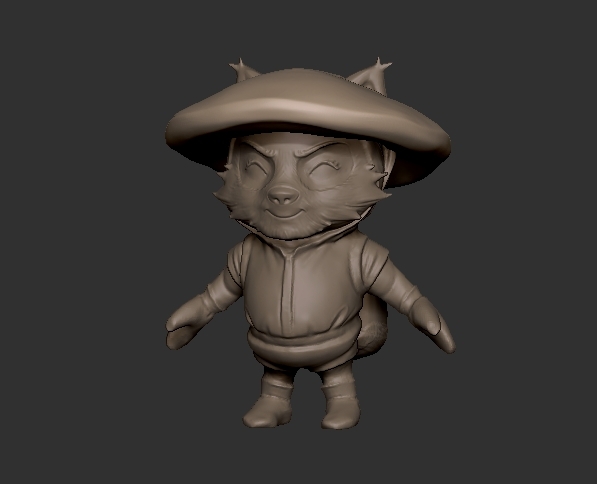 Not quite done yet, still need to polish the textures a bit and planning to tweak the lowpoly as well. @karytsukino: Thank you very much. Very nice! I also wanted to take teemo at the start but changed my mind. I like your idea and final look. Especially accessories аre cool. Good job! @Moonstone: Thank you very much. 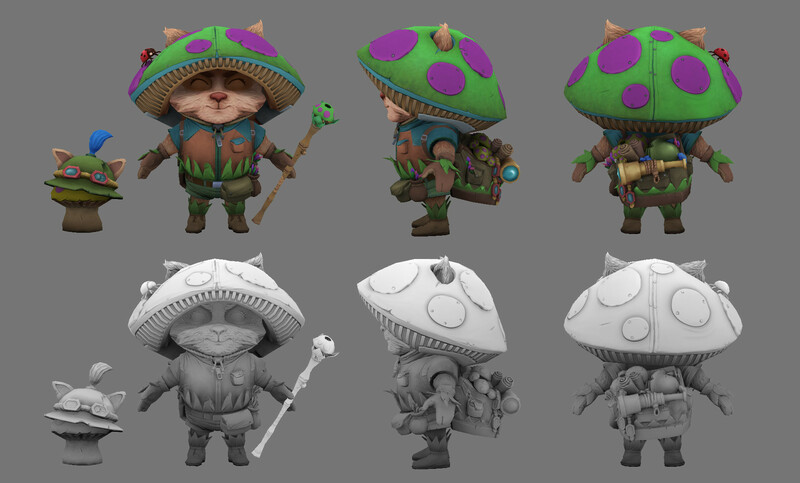 Not many people did Teemo, but there are some really awesome ones so far. 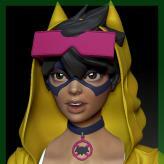 @Juanchoaxel: Yes I use Zbrush. I start with Dynamesh in Zbrush and then retopo & UV in Maya. 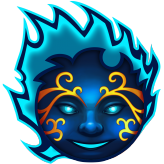 Then I use xnormal for the Occlusion maps, and then I paint the texture in Photoshop. Fantastic job. It composed and executed so well - My congratulations! @ACap: Thanks a bunch. I really appreciate that! Heh, this skin is silly and awesome. 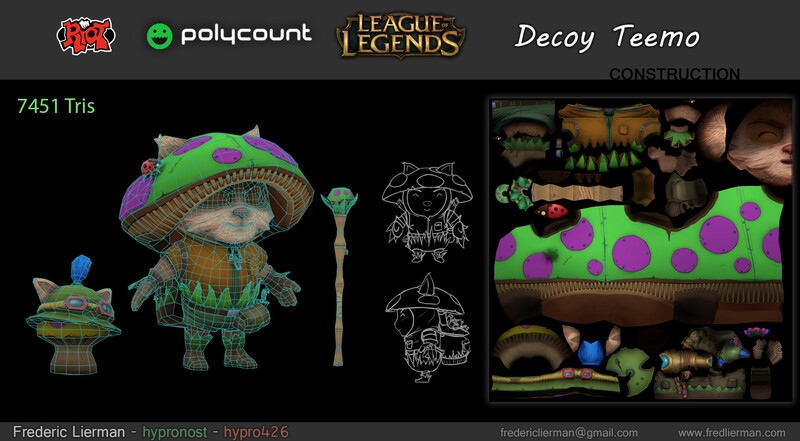 Great job on the detailing and painting, even I can't hate this Teemo. He's super cute. Great job! I need this in my life it's so damn amazing!!! 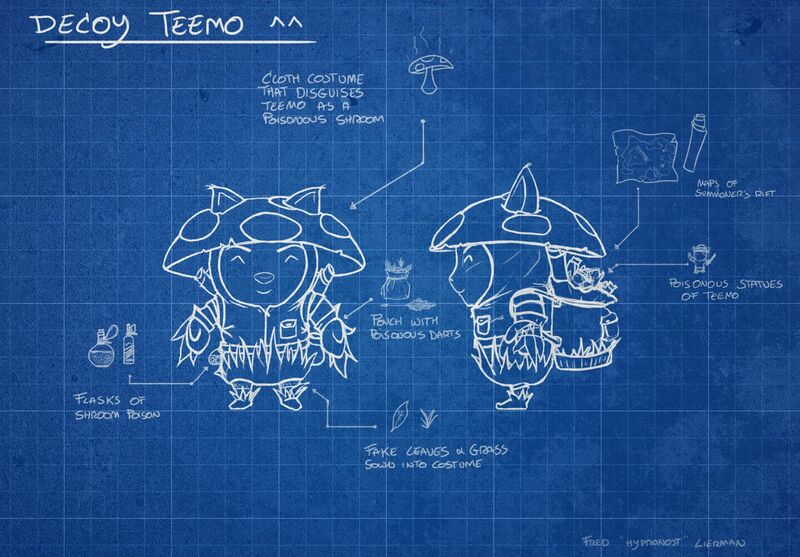 :poly136: What a good way to make Teemo more evil! If this gets in the game, I will definitely buy it! Good work! Thank you so much for your kind comments. I really appreciate them. 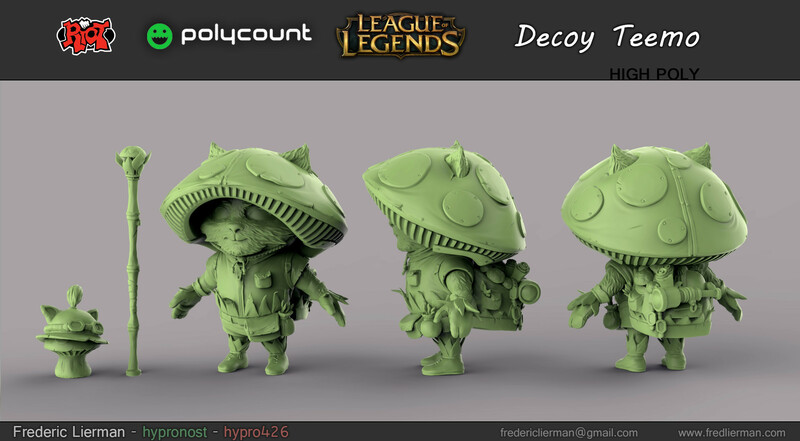 Hi, this skin is so good, it is available in custom skins, or in some third party program in which, it is safe to use it, like custom skins, for example, if so, thank you in which program is uploaded, this wonderful Skin, I hope that riot get the truth, because I'm main teemo mastery 7, since forever.